Carpets are the very foundation of your home environment, so it’s important that they are as clean as can be. Unfortunately, keeping your carpets free from dust and dirt is not as easy as you might think. With dirt being tracked in under shoes and socks, the spillage of food particles and the build-up of dust over time, most homeowners would be horrified to see a microscopic snapshot of what lies deep within their carpets. 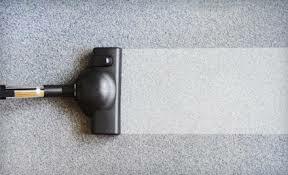 Vacuum cleaning can remove some of the dust and dirt on the surface of your carpet, but it has little effect on those bits of dirt that are embedded in its fibers. For a really clean carpet, steam cleaning is the only reliable method. Carpet Cleaning Kensington Chelsea steam cleaning service cleans your carpet using high temperatures and high pressure so your carpets will be free from dirt and other microbes. Your carpet should be a safe place, where your children can sit and play without being exposed to potentially harmful dirt and microorganisms. And after a visit from our team, that’s exactly what it will be. Carpet Cleaning Kensington Chelsea. *The costs above are valid about Kensington and Chelsea. They include the required labour (cleaning hours). If additional time is needed, then supplementary costs will be applied. Minimum charge applies. Quotes over the phone are formed based on the supplied information. Your family’s health and safety is your priority, and it’s ours, too. We employ only the safest, most effective solutions that can offer maximum sanitization without the use of harmful chemicals. Our steam cleaning technology is the most effective method of carpet cleaning, and the best part of it is that we rely mainly on the natural, but powerful, properties of hot steam to get your carpet clean of all the nasty bits that you don’t want. We’re also dab hands at stain removal and can remove or lighten even the most stubborn stains. Carpet Cleaning Kensington Chelsea. Many loyal Carpet Cleaning Kensington Chelsea customers had never had their carpets professionally cleaned before coming to us. After seeing the difference that a steam-cleaning session can make to even the most heavily used carpets, they’ve joined our growing number of satisfied customers. Through our years in the business, we’ve cleaned every type of carpet from silk to cotton, and acrylic to sisal, so you can trust that our cleaning team is skilled enough to handle yours. We’ve also served all sorts of families, including families who have many children, families with several pets and families who love entertaining (but don’t love the stains that come with it!). We’d like you to become part of Carpet Cleaning London’s list of satisfied customers. And because we’re so certain you’ll be happy with our services, we’re offering you a 100% guarantee. For quick and affordable carpet and upholstery cleaning, turn to Carpet Cleaning Kensington Chelsea. We’ve spent so many years in the carpet cleaning industry that we’ve developed the most effective carpet cleaning techniques around. This means we can do the job quickly and give you the best results, at the lowest prices. Whether you are looking to remove specific stains or to give your carpet a good cleaning, you can count on our team of skilled professionals to meet your expectations. Contact Carpet Cleaning Kensington Chelsea today and invite us into your home.